Moms love us unconditionally, they are the glue of our families, and they work extremely hard usually receiving little praise in return. This is every bit as true in the animal kingdom as well. 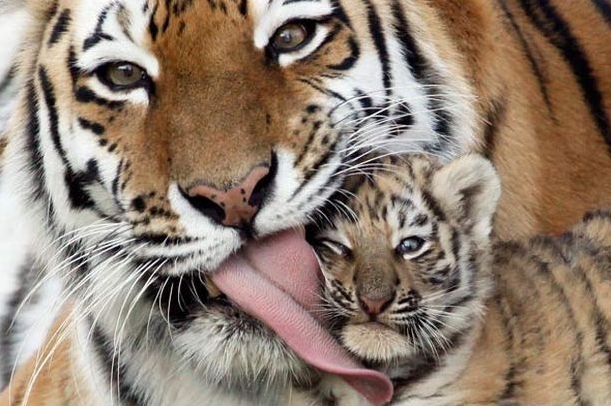 In honor of Mother’s Day, we put together a list of our favorite wildlife photos of proud mamas and their cubs, pups, calves, hatchlings, and more. Don’t forget to call/text/email your mom today! Send her a link to these adorable photos – she’ll love it and you’ll get brownie points! You can see these endangered pups on any of our Galapagos Islands tours. Although the pups start swimming in the sea with their mothers less than two weeks after birth, mothers take care of them for about three years. 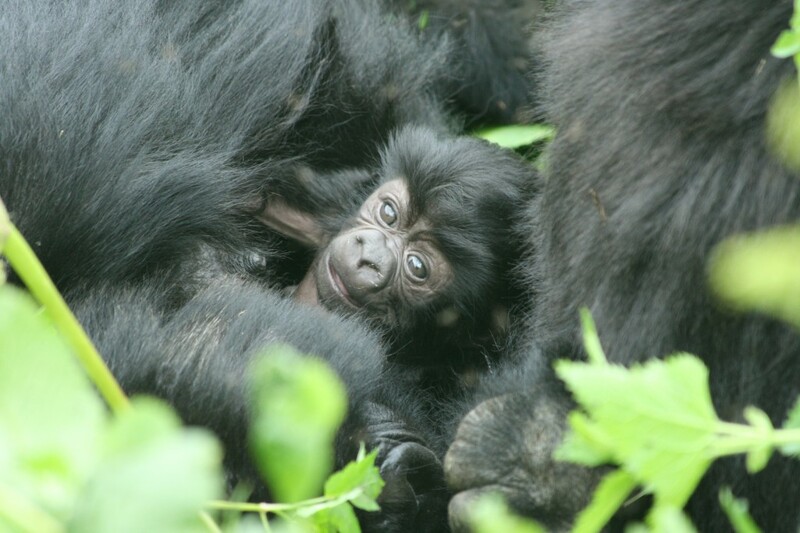 This photo is from one of our gorilla tours, The Great African Primate Expedition. This baby weighs only 20-30 pounds until he’s about 3 years old, although he’ll grow up to be 200-400 pounds! They live in mom’s nest until they are 4 to 6 years old. 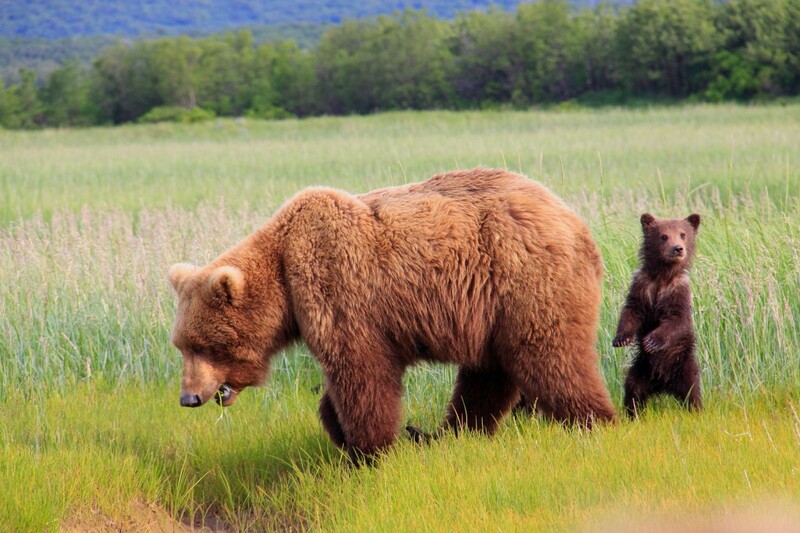 This photo was taken on one of our Alaska wildlife trips, Ultimate Grizzlies: Kodiak to Katmai. The grizzly bear mother usually gives birth to two cubs in January or February, while still hibernating! The cubs will stay with mama bear for 2-3 years. 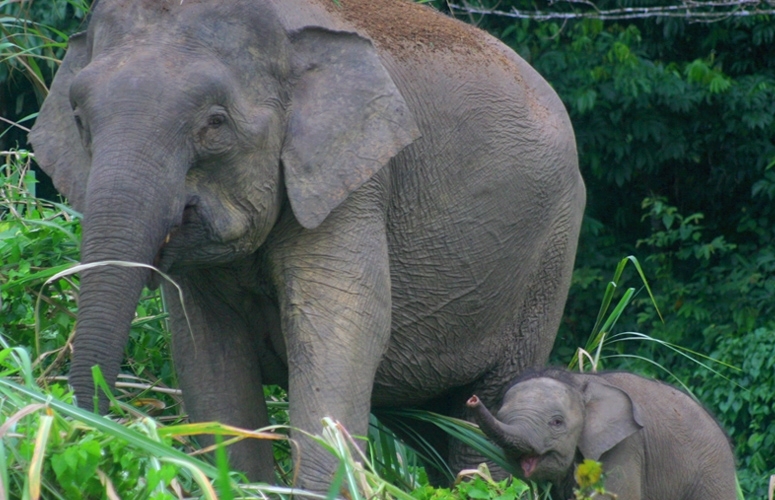 This photo was snapped on NHA’s The Natural Wonders of Borneo tour. Did you know the average female pygmy elephant will birth roughly 7 calves in her lifetime, with a gestation periods between 19-22 months? Elephants have the longest gestation period of any mammal in the animal kingdom. 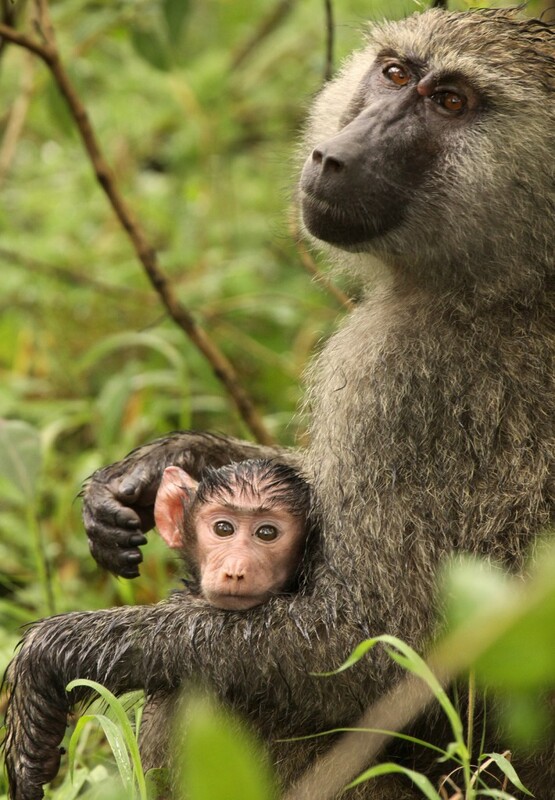 This mother and baby baboon were spotted one of NHA’s African Safaris, Secluded Tanzania Safari. This baby must be less than a month old, as mother baboons carry the infant close to their stomach as they travel, holding it with one hand during the first month. 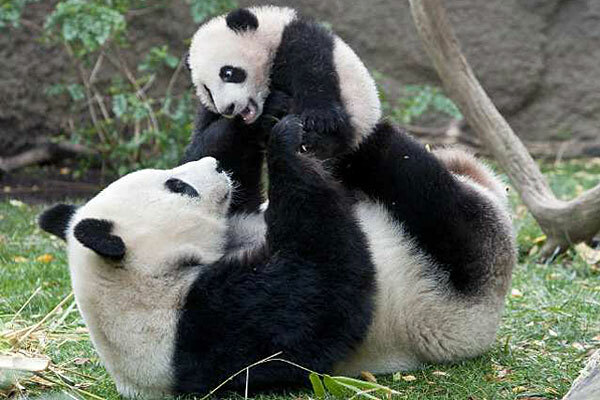 Did you know a baby giant panda is only the size of a stick of butter when it is born, about 1/900th the size of its mother? See giant pandas and explore remote, little-known wildlife reserves on one of our new China trips like The Wild Side of China: A Nature Odyssey. This photo technically isn’t a mother and baby, but it’s so cute we couldn’t resist including it. 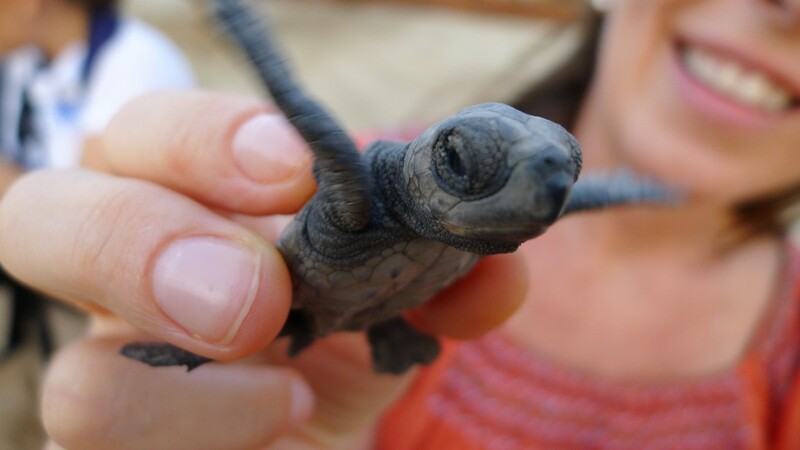 This hatchling never made it to sea with its siblings and was released into the sea by researchers during our Mexico Sea Turtle Odyssey tour. Once sea turtle hatchlings emerge from the nest, they use environmental signals to find the water such as the beach slope and the moonlight reflecting on the ocean horizon. Artificial beachfront lighting from human development is a major problem because it directs these very small turtles inland away from the water. 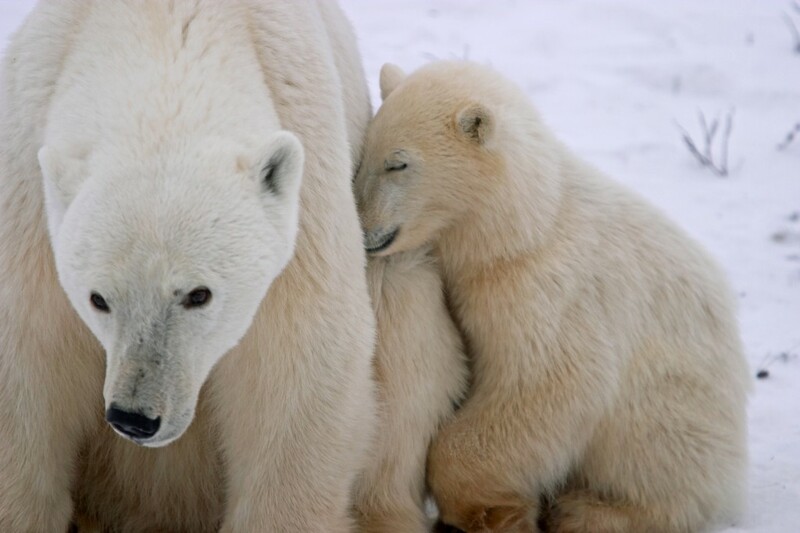 This photo is from one of NHA’s Churchill polar bear tours, where you are bound to see a few sets of patient polar bear mothers and rambunctious cubs. Baby polar bears are born in a maternity den with their eyes shut and with hardly any fur. They don’t leave the den until their mother breaks through the snow and ice that has sealed the door shut. Orangutans only give birth once every 8 years and don’t mate until their 20’s, so their rate of reproduction is very slow. 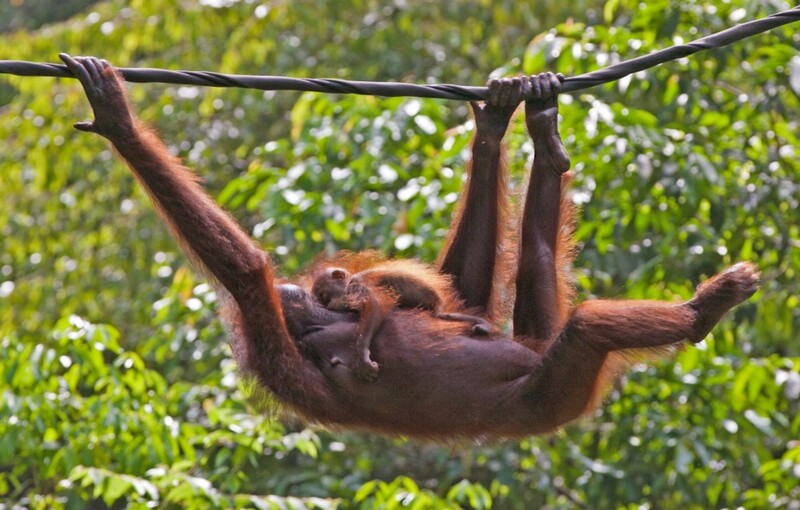 A mother orangutan will nurse her baby for up to 7 years, and the female offspring will stay with their mothers until their teen years to gain necessary parenting skills. Photo from NHA’s The Natural Wonders of Borneo trip. “Stop mom, you’re embarrassing me!” Sounds familiar doesn’t it? Did you know that baby tigers are born blind, and don’t gain full vision in their baby blue eyes until about 2 weeks old? Sadly, about half of all tiger cubs do not survive more than two years due to human habitat destruction, starvation, freezing, and accidents. You can safari in India’s Ranthambore National Park – superb tiger territory – with Nat Hab Expedition Leaders on India’s Tigers & Wildlife: A Photo Safari. Any one of these pictures I could vote as picture of the year.